On the My Dashboards tab, click on the Add New Dashboard button. On the New Dashboard modal, give your dashboard a Title. You can provide an optional Description for your dashboard. This will appear on the dashboard itself and can help provide some context for the charts. Give your dashboard a unique Friendly URL. 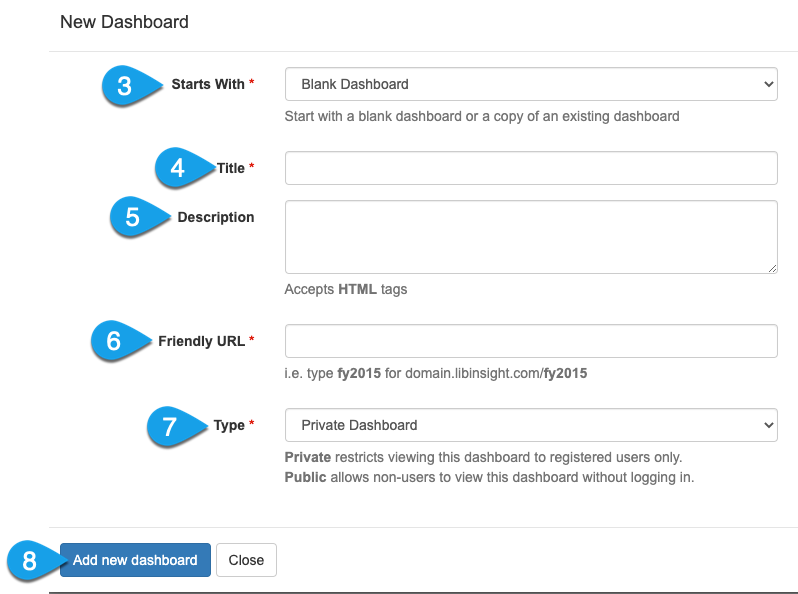 This will construct the URL for viewing the dashboard and is how you can share your dashboard with others. 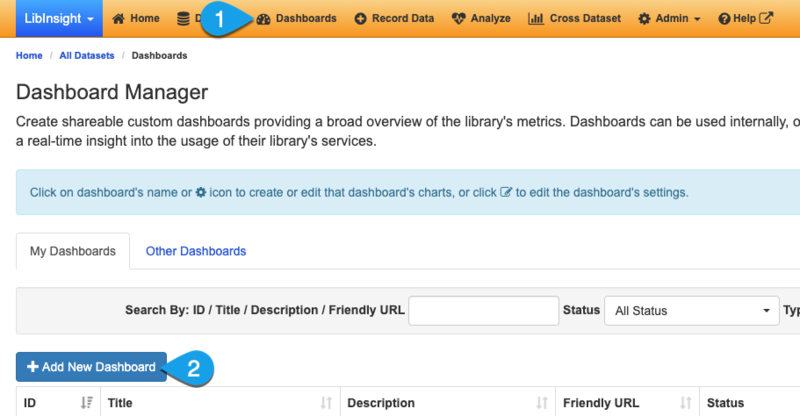 Private dashboards can only be viewed by people who have a LibInsight user account. Public dashboards can be viewed by everyone who knows the URL. Click the Add New Dashboard button.